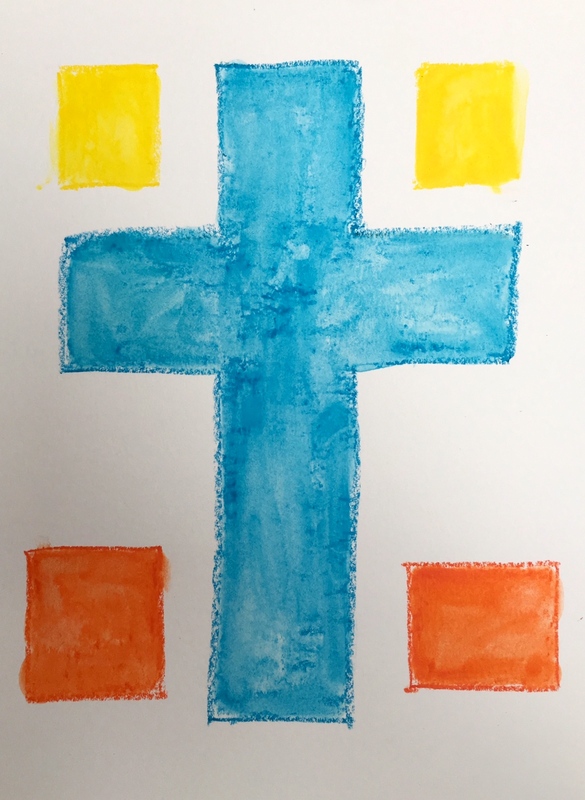 One of the things my Sunday School students enjoy the most is their time before the end of class doing a twenty-minute art project. I have learned the value of using high quality art materials and paper through my nonprofit organization, Mom to Madre. Mom to Madre brings “Family Literacy Parties” to organizations where family members of all ages can enjoy painting or drawing and conversing with each other. This month, I went to Aaron Brothers Art and Framing to see what they had for kids, keeping price in mind. 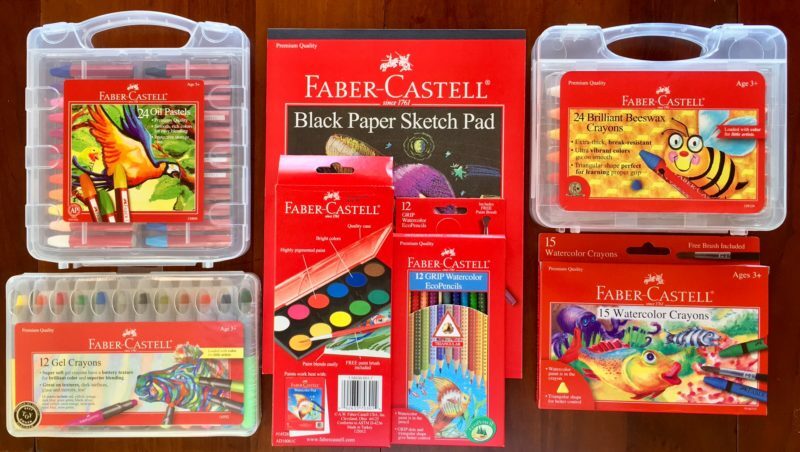 I came at the right time–they had a sale of “Buy One-Get One Free” and I bought a set of excellent art supplies by Faber-Castell. This is my first experience using them, and I think they are great! 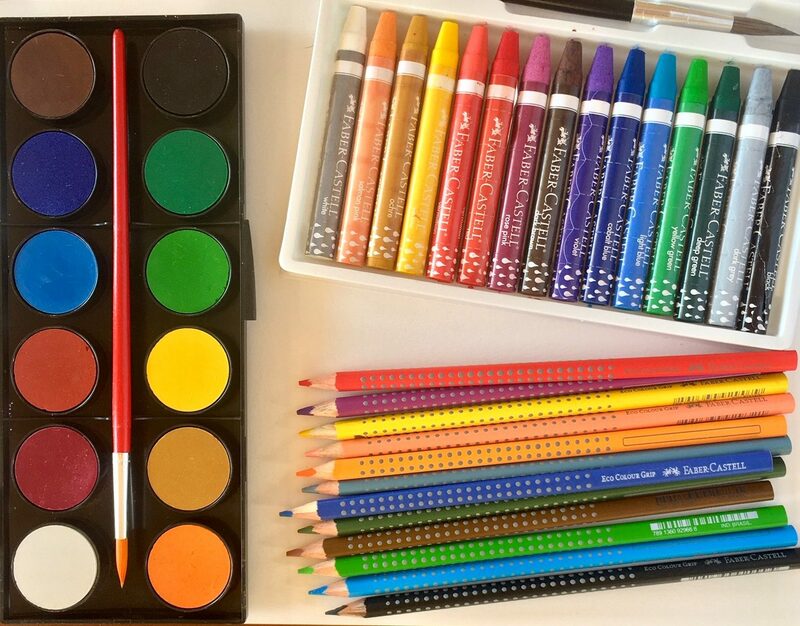 I love the watercolors and their GRIP Watercolor Pencils and crayons, and fragrant Beeswax Crayons. The students will have fun using the slick Gel Crayons and Oil Pastels. When we do an art project, we also listen and sing along to Catholic children’s music CDs. It’s a powerful extension to all that the children are learning. If you are not already doing art with your kids, give it a try. It’s really fun and relaxing. No special talent or prior experience needed!